ANNE GREENE here. Last 14th day of the month I told you about women spies during the Civil War. This month, I’ll mention a few of the more well-known women covert agents. If you missed last month’s blog, please check out the achieves. ELIZABETH VAN LEW was an important spy for the Union. Elizabeth Van Lew and her mother visited Union soldiers held at Richmond’s brutal Libby Prison. Besides bringing them food, clothing and medicine, Elizabeth smuggled out letters. 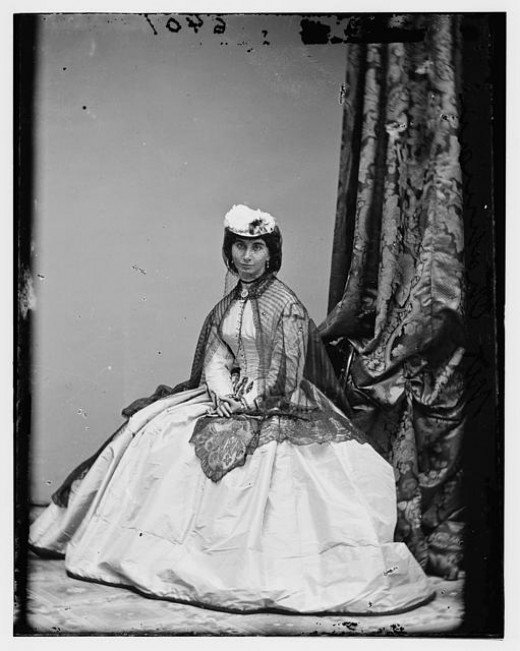 She and her mother obtained confederate information from guards and prisoners. These two women gathered valuable intelligence about Confederate strategy from prisoners and guards, and sent the communiqués via coded messages, invisible ink, and hollowed out eggs and vegetables. Raised in a wealthy slave-holding family in Richmond, Virginia, Elizabeth developed strong abolitionist sympathies as a young adult, particularly after attending a Quaker school in Philadelphia. After her father’s death in 1843, Elizabeth convinced her brother to free their slaves, many of whom stayed on as paid servants. Late in 1863, Union General Benjamin Butler recruited Elizabeth as a spy. She became head of an espionage network based in Richmond. With the help of her servants—including Mary Bowser, an important spy in her own right, Elizabeth sent coded messages to Union officers. She convinced new members to join her covert ring, including a high-ranking official at Libby Prison. When Richmond fell to Union forces in April 1865, Elizabeth flew the Stars and Stripes above her home. By war’s end, Elizabeth had become a pariah in her community, but earned General Ulysses S. Grant’s respect. Elizabeth spent her final days in poverty, having used her family’s entire wealth on espionage. The family of a Union officer she assisted during the war-grandson of Paul Revere-provided for her until her death in 1900. MARY ELIZABETH BOWSER, born as Mary Elizabeth Richards, sometime around 1839, was a slave of John Van Lew of Virginia. When the younger Elizabeth Van Lew began working as a Union spy, Mary assisted Elizabeth in her intelligence gathering. Mary, freed by Elizabeth Van Lew, used the name Ellen Bond and worked as a servant to Varina Davis, President Davis’s wife, in the Confederate White House. During Mary’s time there, she used her photographic memory to gather intelligence by reading military documents left out on desks or tables and eavesdropping on conversations. Throughout most of the war Mary overheard many conversations between the President and his officers and generals. She eavesdropped on Davis and his colleagues while serving dinner. 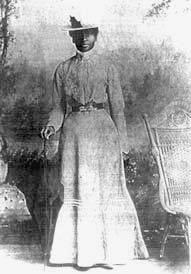 Mary, one of the few black women who could read and write, read many letters left in the house and memorized them. She relayed this information to Elizabeth Van Lew at night near her farm. She also worked with Thomas McNiven, a Richmond baker. McNiven received the intelligence information at the bakery and dispersed the data during deliveries to the white house. President Davis knew information leaked from the house, but he never suspected his servant Ellen Bond. Other people suspected her, however, so she decided to flee. She made a final effort for the North by attempting to burn down the Confederate White House. Little information exists of what became of Mary after the war. Like other spies, federal officials destroyed information about Mary’s spy activities to protect her identity. In 1995, the US Army Military Intelligence Corps Hall of Fame inducted Mary Elizabeth Bowser as one of the highest placed and most productive espionage agents of the Civil War. SARAH EMMA EDMONDS was born on a farm in New Brunswick, Canada in 1841. When her father tried to marry her off to a neighbor at age 16, she ran away from home, changed her name to Emma Edmonds and got a job as a salesgirl in a millinery shop. When her father discovered her, she fled again, cut her hair, spent her savings on men’s clothing, and was hired for a job selling bibles and religious books. She began her life as Frank Flint Thompson. A month after the outbreak of the Civil War, Emma signed up as a male field nurse in the Second Volunteers of the United States Army under her alias Franklin Flint Thompson. She continued her hospital work for many months until March of 1862, when she was reassigned as a mail carrier for her regiment. Only a few months later, after one of General McClellan’s spies was caught and executed by the Confederate army, Emma volunteered for the open position. 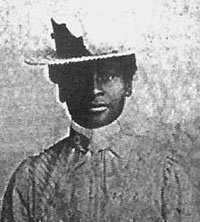 Her first spy mission involved darkening her skin with silver nitrate to pose as a slave named Cuff in a nearby Confederate military camp. While there she worked in the kitchen where she eavesdropped on conversations. She left a few days later when she was assigned as a Confederate picket and returned to tell McClellan the information she gathered on the Confederate’s local troop size, available weapons, and location of numerous Quaker Guns (logs painted to look like cannons) that the Confederates planned to use in Yorktown. 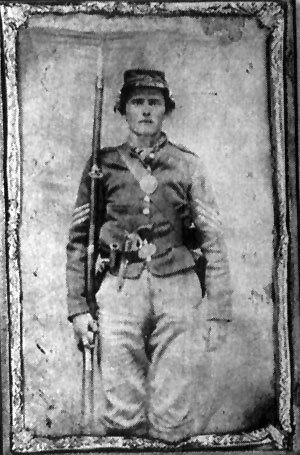 A few months later she infiltrated the Confederate army again, this time as a female Irish peddler named Bridget O’Shea. She returned with valuable military information as well as a beautiful horse and a wound on her arm where the horse bit her while she retrieved medical supplies from the saddlebags. After her regiment transferred to Virginia in 1862, Emma again went undercover as an African-American laundry woman in a Confederate camp. Her position allowed her to steal valuable papers from officers’ jackets which she brought back to her regiment. In the spring of 1863, Emma developed malaria. Unable to admit herself to a military hospital out of fear of being discovered, Emma decided to leave her unit and seek medical attention in a private hospital. After recovering and leaving the hospital in Cairo, Illinois, Emma saw an army bulletin in the local post office listing Private Frank Thompson as a deserter. Unable to return to her previous duties, Emma spent the rest of the war working as a female nurse at hospitals in war torn regions like Virginia and West Virginia. After the war, upset about being branded a deserter and irritated that she wasn’t eligible for a pension due to her gender, Emma petitioned the War Department for a full review of her case. Various stories of women who had served in combat were starting to emerge but none of them had yet been awarded a pension. Emma’s Army comrades supported her quest to get a pension and spoke very highly of her. Some of her comrades stated that there had been rumors all along that Emma was a girl. 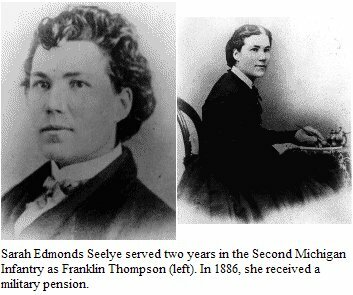 On July 5 of 1884, a Special Act of Congress granted Emma a veteran’s pension of $12 a month. Since her case generated a lot of publicity, Emma became a celebrity. Emma passed away on September 5, 1898 and was buried in a local cemetery. In 1901, she was re-buried with military honors at Washington Cemetery in Houston. Many other ladies spied for the Union but their stories are lost in the mists of time. Perhaps you know of one or more and would like to share their name or names in a comment. I would love to hear from you. I hope you will visit with me next month. I’ll tell you about some interesting Confederate lady spies. Which of the three Union spies in hoop skirts do you think took the most risks? Leave a comment for a chance to win an autographed copy of Angel With Steel Wings. dead-end life in Hangman’s Hollow, Tennessee as a Woman Air Service Pilot, WASP. Major Harvey Applegate lost his wife to the WASP program, and he determines to protect the remaining ladies by sending them packing back to the home front. Will their new love survive the test? One love. Two goals. Someone has to give. Amazing women...I'd have to say that Sarah Emma Edmonds took the most risks. All I can say is....Wow. Agreed. Wow! I love stories about heroic women. That's why I write them. Good to see you her Debbie. Be sure to leave your email address for the drawing. I loved this post!!! I think Emma probably risked the most, but they all were very brave! Hi Connie, Bet you didn't know women were active participants in the Civil War. Women really are great aren't we? My feeling is that Sarah took the most risks by posing as a male in addition to all her other risks. Such an interesting post Anne - thank you!! 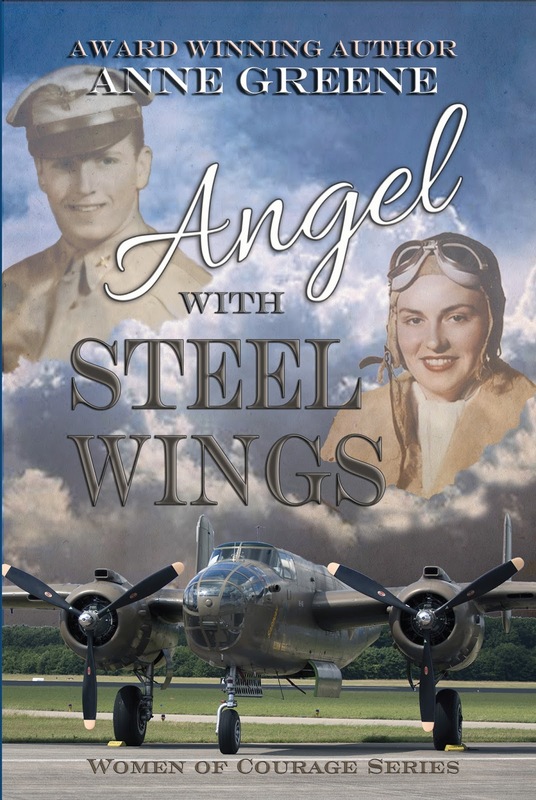 Thanks for the opportunity to win a copy of 'Angel With Steel Wings'!! Hi Bonnie, thanks for leaving your email address. It makes it so much easier to email you if/when your name is drawn. Good to see you here. Another fascinating post! All three women took great risks, but Sarah possibly more so when she posed as a man. Thanks for sharing, Anne! Hi Britney, good to see you again! Glad you liked the post. Debbie Chappy, I pulled your name from the hat. 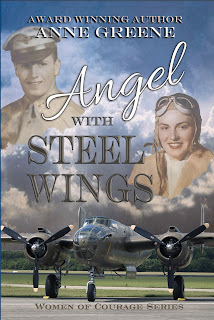 You are the winner of an autographed copy of Angel With Steel Wings. Congratulations!